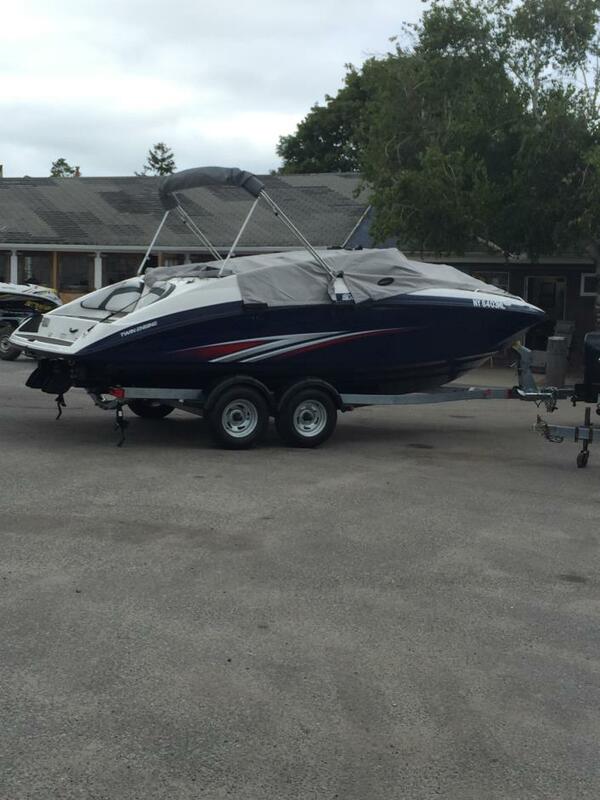 Per Seller, everything on boat is in working condition. Seller has both covers for Bow and Aft cockpit covers. Also comes with Full Boat Cover This vessel is priced right and ready for a new Home. Most of the dock marks on the side will buff out as well. Stock #163452 Orig Owner Ready for some fast fun on the water! Well-maintained boat is ready for new owner! 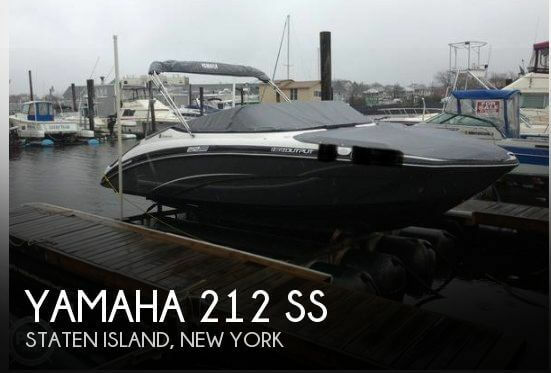 If you are in the market for a jet boat, look no further than this 2013 Yamaha 212 SS, priced right at $27,800 (offers encouraged). 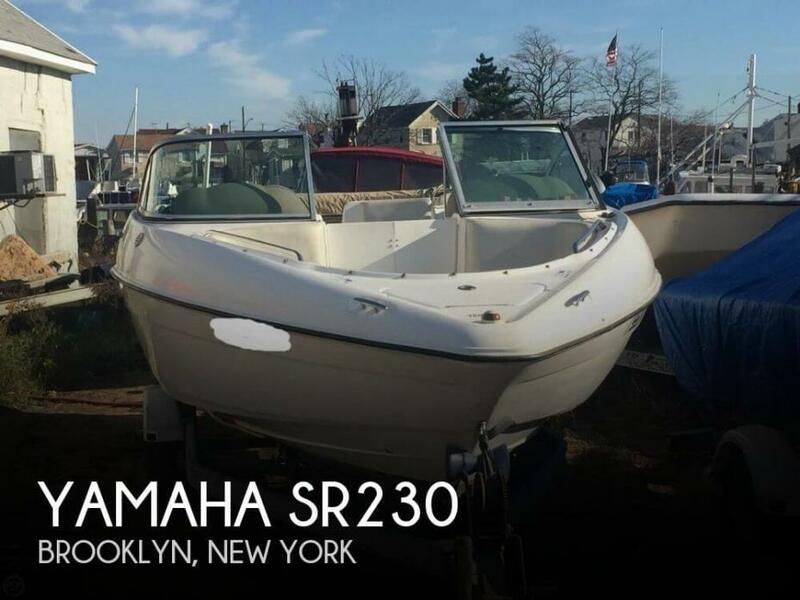 This boat is located in Staten Island, New York and is in good condition. She is also equipped with twin Yamaha engines that have only 264 hours. Reason for selling is does not use. This boat is owned and maintained by marina owners. 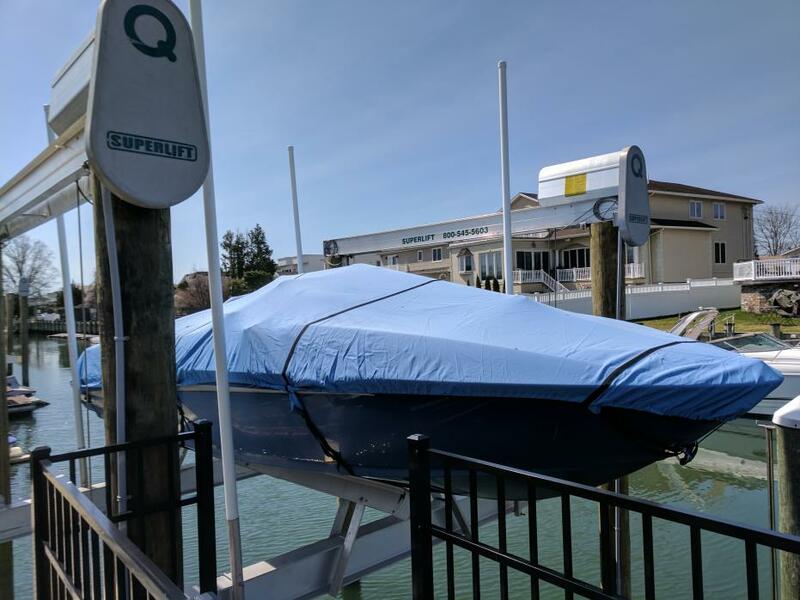 The boat is winterized and shrink wrapped every year, and maintained by marina mechanics. 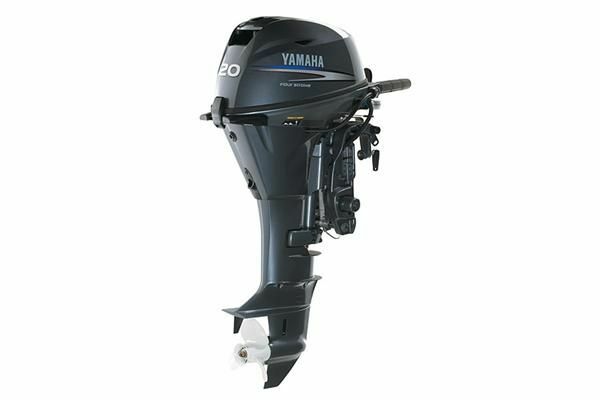 This Yamaha has all the power you need to pull anyone for any watersports, or just to go beach at your favorite spot and have a day. 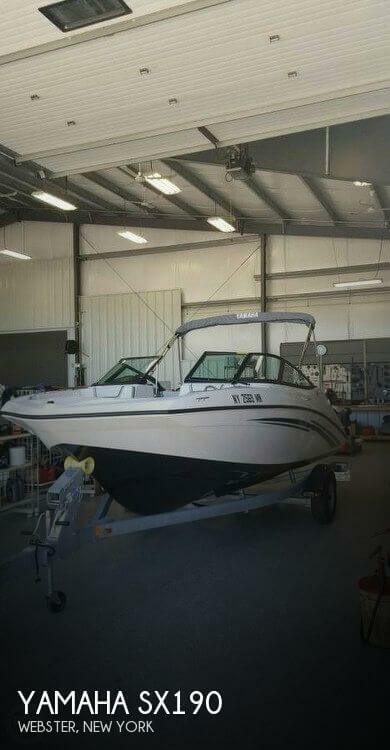 Stock #118986 Great Yamaha Jet Boat!!! 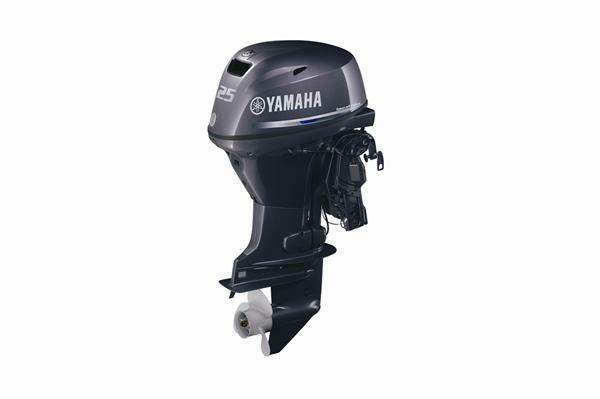 The classic SR 23 is one of the first in the long line of great Yamaha Jet Boats. Quiet ride and seating for 10! If you are in the market for a jet boat, look no further than this 2003 Yamaha SR230, just reduced to $18,500 (offers encouraged). This boat is located in Brooklyn, New York and is in decent condition. She is also equipped with twin Yamaha engines. Reason for selling is lack of use. 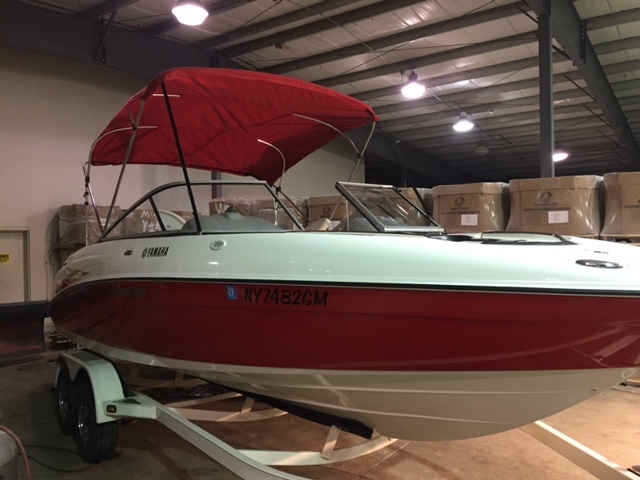 - This is a new boat - Three years left on full warranty - Comes with factory trailer - 9'8" tall on the trailer - With Bimini folded 7'9" tall on the trailer - On trailer 22' long - Trailer has a foldable tongue - Snap out carpet Stock #145022 Like-new Yamaha SX190 jet boat, fully equipped and ready for fun! If you are in the market for a jet boat, look no further than this 2017 Yamaha SX190, just reduced to $32,225 (offers encouraged). 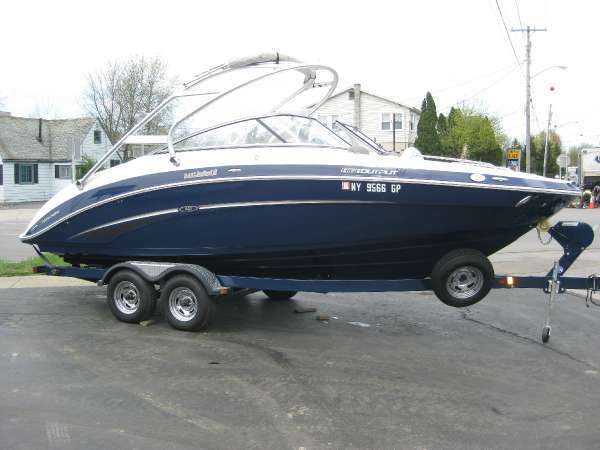 This boat is located in Webster, New York and is in great condition. She is also equipped with a Yamaha engine. Reason for selling is a baby is on the way!. 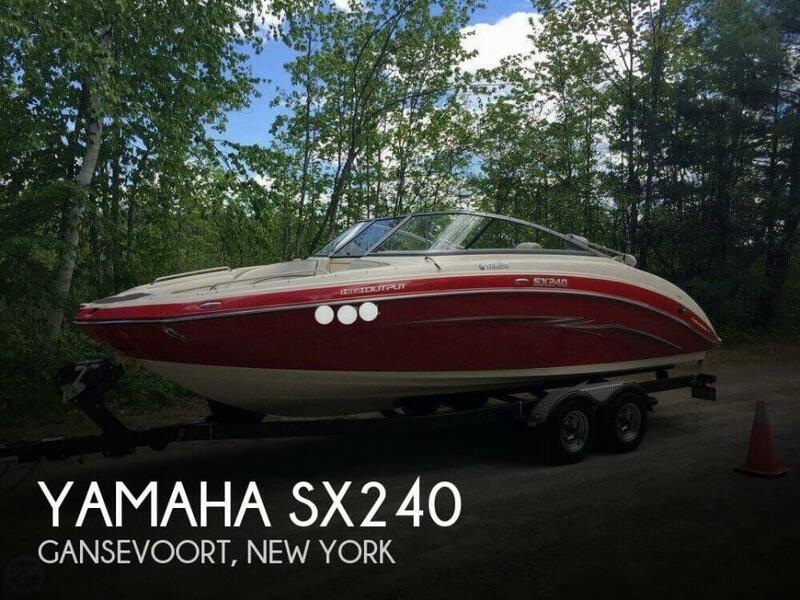 2006 Yamaha SX230 High Output 2006 Yamaha SX230 High Output, low hours, very good shape , 2-160HP Engines, Newer cover, tandam axle trailer with surge brakes. Great in shallow water, no propellers to worry about. Top speed 54MPH. Approximate weight 2800 lbs. Comes with life jackets, anchor, required flotation device, oar, bumpers, docking ropes, fire extinguisher, flairs and Yamaha ratcheting Mooring/ travel cover. The only reason we are selling the boat is because we bought a brand new Yamaha, love the boat. 2015 Yamaha SX210 Spacious. Reliable. Innovative. The number one selling SX210 is a smart buy for all the right reasons. Key features include a passenger-friendly layout with extra storage and stylish upholstery upgrades. The bi-level swim platform is appointed with plush backrest cushions. 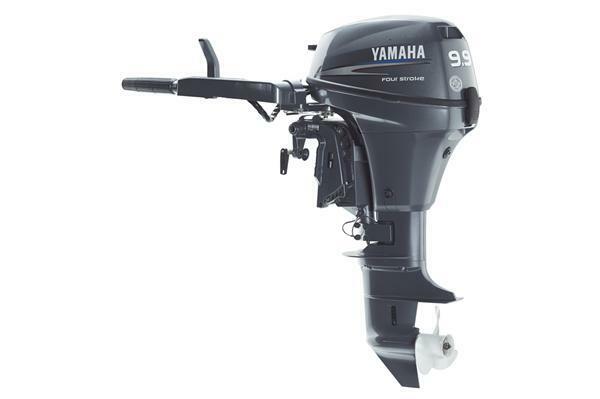 Yamaha-exclusive innovations include the Thrust Directional Enhancer and No Wake Mode for confident handling. 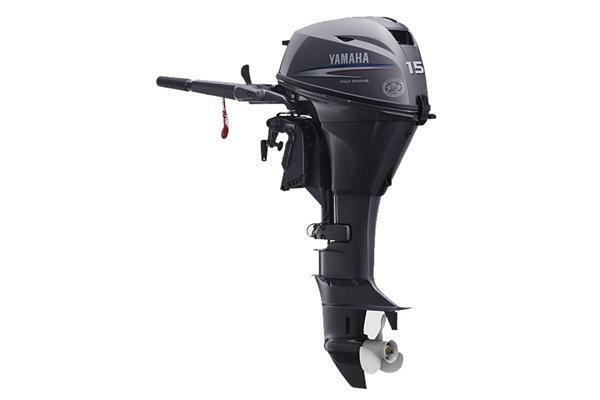 2014 Yamaha Outboards t25la Yamaha's T25LA High Thrust 25HP remote model carburetored long shaft 20" 4/stroke outboard new in the crate and priced to sell for $4,500.00 Price dropped Below cost to $3700.00 after rebate plus tax rigging and installation. 2017 Yamaha F9.9SMHB 2017 Yamaha F9.9SMHB short shaft manual start tiller 4/stroke new in the crate and priced to sell for $2550.00. 2017 Yamaha F20LPHA 2017 Yamaha F20LPHA long shaft elecrtic start tiller with power tilt new in the crate and priced to sell for $3950.00. 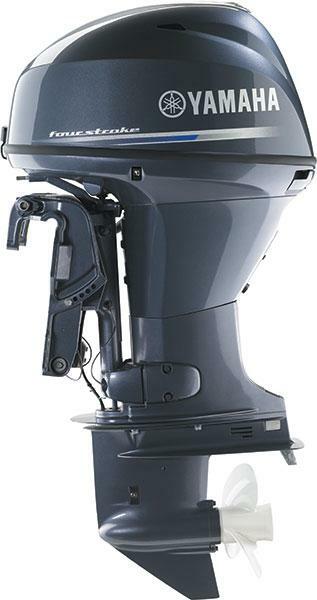 2008 Yamaha AR230 HO Designed to satisfy you whether you?re behind the windshield or at the receiving end of the wakeboard rope, the AR230HO is an essential component of every family with a flair for water sports. Offering Twin High Output Yamaha Marine engines, instantaneous acceleration, decisive handling and brilliant maneuverability, this 23-foot boat was designed as much for the driver as it was for wakeboarders and skiers. Fully appointed with all the amenities you would expect from a Yamaha, its aluminum wakeboard tower offers both style and function and an innovative seating layout gives everyone onboard room to breathe. And the swim platform area is always prime real estate. 2002 Yamaha LX2000 Selling our 2002 LX2000 Yamaha Jet Boat. Reupholstered last winter, looks mint. Also replaced plywood under front seats with new marine 3/4" plywood. Mechanically perfect. Boat was never stored in the water. Flushed after EVERY ride and washed down. Lives on a lift now on the water. Happy to sea-trial for *serious* buyers.Boat does over 50MPH and gets there fast. Extras:-Engine top ends rebuilt -New cover from last season-Bow and Stern lights upgraded to LED-Humminbird GPS/fishfinder/depth-finder-Courtesy light upgraded to LED bar-Upgraded Sony Stereo installed last year-Upgraded Infinity Speakers all around-Safety upgrade on clean-out plugs -Fuel air separator -Fuel stator pump installed (the boat starts up perfectly every time, no priming or other nonsense)-Battery replaced a couple of seasons ago-Gauges rebuilt-New steering and throttle cables-Bimini top frame-Carpet (not pictured)-Original galvanized trailer at another location. 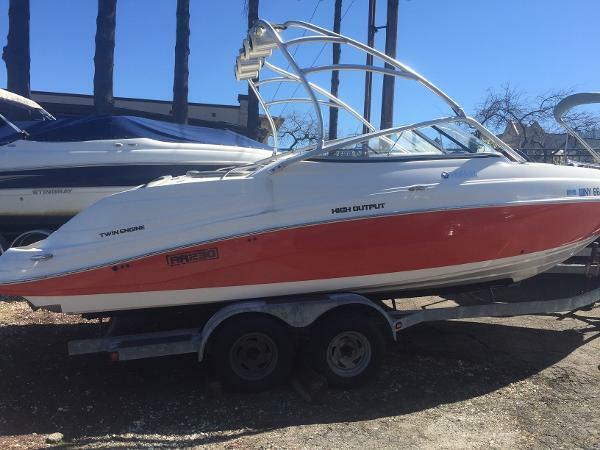 -Original owners manualFull clean title in hand for both boat and trailer. Feel free to reach out with questions.